Houston will be thrilled to hear this. Astroneer, everyone's favorite game about being a wacky astronaut, will be released in full just a few months from now. No longer will your terraforming be plagued by thoughts surrounding the impermanence of Early Access. Instead, come February 6th, 2019, you can scour a planet for resources with the knowledge that all is as it should be. The game was initially slated for release sometime in December of this year, but developer System Era decided somewhere along the way that they needed just a little more time to polish the game off. The "1.0" release will also coincide with the addition of a new exploratory adventure, taking the player to "seven brand new planets while facing challenges like dangerous flora, treacherous terrain and immense, mysterious structures." I've always said large, mysterious structures were mankind's greatest foes, so it's nice to finally get some affirmation of my beliefs. 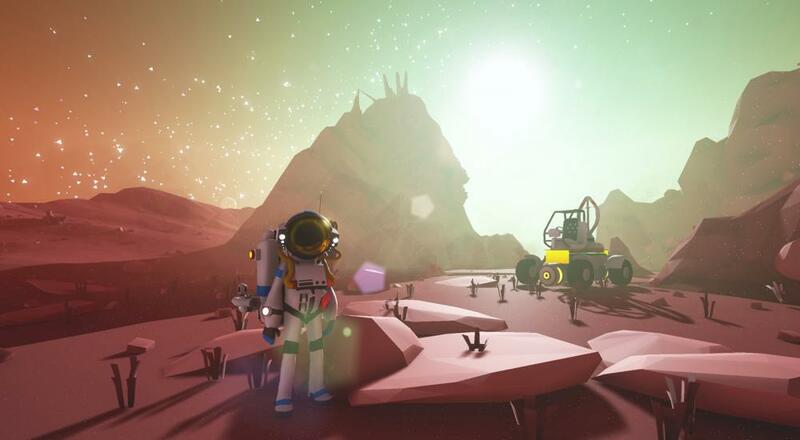 Astroneer's co-op feature allows up to four online players to work together as they attempt to survive (and subsequently thrive) on a harsh, alien planet. It's currently available to console gamers on the Xbox One, and PC gamers can purchase it through either the Windows 10 store or Steam. Have any favorite co-op moments from Astroneer's pre-release lifespan? Let us know in the comments! Page created in 0.2257 seconds.